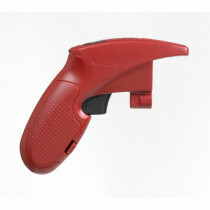 When there is a problem with holiday lights, the LightKeeper Pro Light Tester has the solution. Use it on most miniature Incandescent lightsets and pre-lit trees. Features an audible continuity detector that pinpoints the problem by tracing the circuit to the point of interruption. There is an attached LED headlight to guide your way and the 3-way bulb puller gets tight bulbs out with ease. The storage compartment houses your bulbs and fuses.